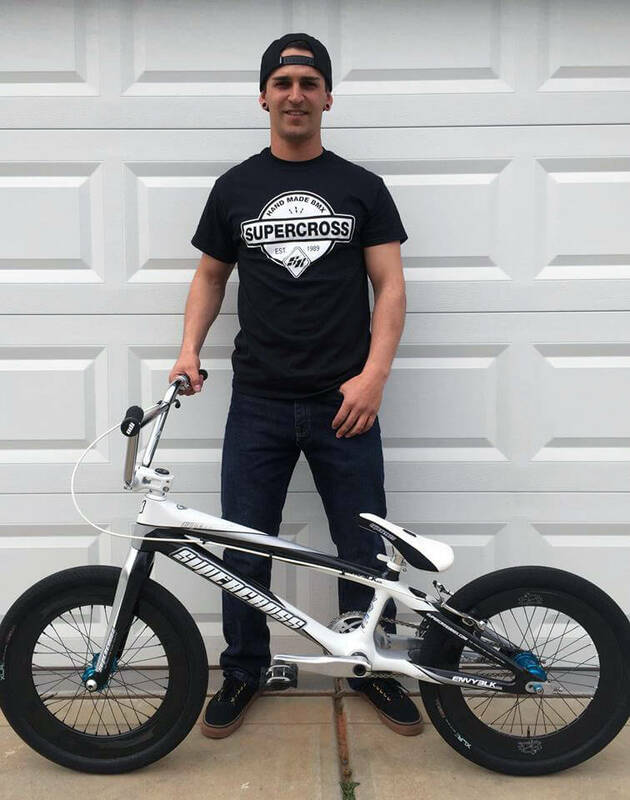 KJ Romero has been MIA from BMX but now he’s back, he’s winning and he’s on maybe the sexiest bike we’ve ever seen, the Supercross Envy BLK. We caught up with KJ to find out what he’s been up, what his plans are and to take a closer look at that bike! 15: You’re just back from a self imposed exile from racing, why did you decide to step-away? KJ: Well, I was ‘AA Pro’ for three seasons and in those three seasons, I only made 3 main events. After time, I noticed my results were starting to worsen and I was losing motivation. At Nashville 2015, after getting moto’d AGAIN, I decided I was going to take a month break. One month turned into three months, then three months turned into six months. At about six months, I was given the opportunity to transfer to Rock Hill, SC for work. After the move, I figured since I’m 5 minutes from the track, I’d give my passion for BMX another shot. 15: It’s got to be hard competing at Elite (AA Pro) level with a full time job to do as well? KJ: Yeah, it’s definitely challenging. With adult responsibilities and work being my only source of income, work takes priority. And that means less focus on BMX. 15: Did you continue to ride tracks during your time off? What drew you back to racing and to the Supercross set up? KJ: I rode twice during my time off, hoping I’d get the “fire” back. The both times I rode, I rolled around the track three times and left with not even a spark that would reignite the flame. 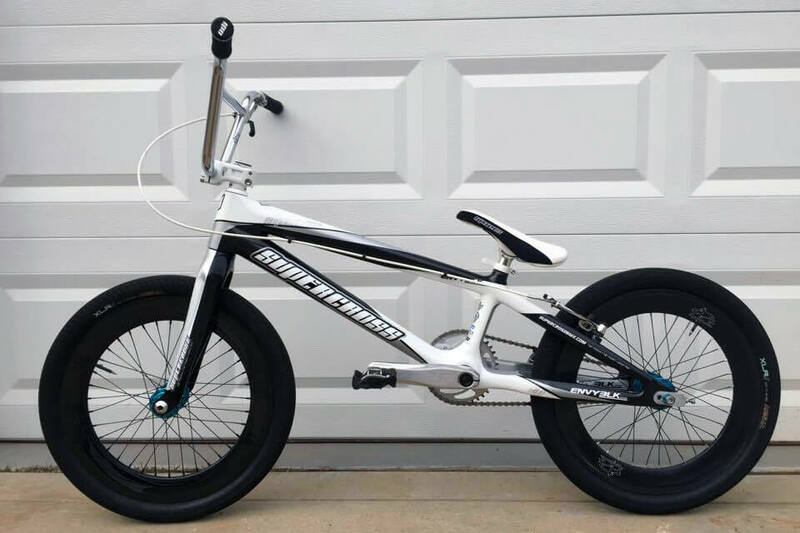 Now that I live five minutes from Novant Health BMX (Rock Hill), it has made it really easy to draw me back into the sport. Bill Ryan and I have always had a great relationship and when he heard I was back riding, and riding as a privateer, he reminded me that I always have a spot in the Supercross BMX family picture. 15: You have re-classed to ‘A Pro’ for 2016 in the US. Is that were you plan to stay or is there a return to ‘AA’ on the cards in the future? KJ: As of right now, I just plan on staying ‘A Pro’ and having fun on my bike. But who knows, maybe somewhere down the road, I’ll give it another go. 15: Which three ‘A Pros’ gave you the signatures allowing you to re-class? Was it hard to gather them? KJ: Cole Tesar, Will Grant, and Santiago Marin. The only difficulty I had getting their signatures was figuring a way they could sign the paper since Will and Santiago live in Florida. KJ: It was definitely nice to be back racing and especially back on the box. All of us were actually joking about the signatures after Sundays mains when I got the overall win. Haha. Chris Luna, at USA BMX, was joking with me saying he was going to move me back up to ‘AA Pro’. 15: What are your plans for 2016? 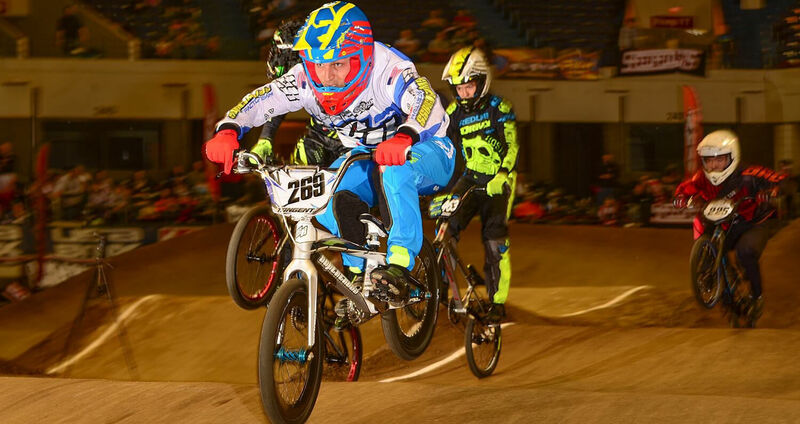 All USA BMX races or are you looking at any of the SX rounds? 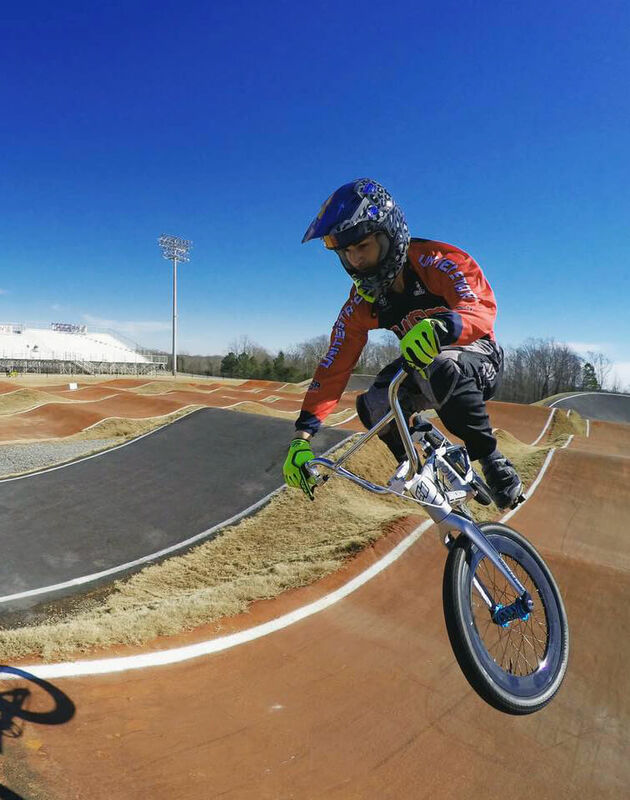 KJ: Pretty much just plan on hitting the USA BMX circuit this year. I’m just playing race by race right now and not stressing. If I can make a race, awesome, if not, no worries there’s always the next one! 15: Any idea of the total weight? KJ: Haven’t weighed it yet, but I’m guessing 17-18lbs. 15: Do you change gearing for different tracks or training? KJ: Not usually. Most of the time I stick to 39/14, but since I was off the bike for 6 months, I’m running a 38/14 right now to work on my foot speed and acceleration. 15: Is this your first Carbon frame? Does it feel different to ride compared to your alloy frames? KJ: Yes, this is my first carbon frame, and I love it! I never believed people when they would say, “carbon is so much better”. 15: Clips or flats for pure fun riding? KJ: I like to mix it up. It’s fun to ride with flats when you’re learning something new and want to manual the rhythm section without the worry of busting your tailbone haha! 15: Who do you think will make the US team for Rio? Other than Connor and Alise we’re stuck, too much competition! KJ: There’s A LOT of competition, that’s for sure. I think the team for the games this year will probably be the same. Herman, Long, Fields, and Sharrah as the alternate for the men. Post, Crain, and George for the alternate for the women. 15: Who do you think will win come August in Rio? KJ: It’s really hard to say. Sam is going crazy fast, as always. Joris has been showing his potential lately, as well as Fields. But you can’t count out Maris, when Olympic time rolls around, he turns it up! 15: The UCI Worlds will be rolling into Rock Hill, your local track, in 2017. We assume you’ll be there … 5m or 8m hill?